Thanks for stopping by our website! 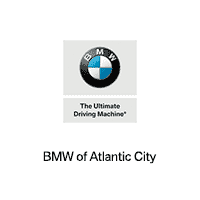 At BMW of Atlantic City, we take pride in providing our customers in the Atlantic City, Egg Harbor Township, and Vineland areas with the BMW car that suits their lifestyle. With our expert sales, finance, and auto service team members, you’ll be guided through each step of our car-buying process, ensuring the perfect model, right loan options, and customer care down the road. We even provide several online tools to help you get started right in the comfort of your own home. Read on to find out more! At BMW of Atlantic City, we know that every one of our customers has different needs when it comes to choosing their next vehicle. That’s why we provide a vast inventory of models, so you’ll find the car that was made for you. From sporty sedans like the BMW 430i, to roomy crossover SUVs like the BMW X5, you’ll find a variety of vehicles to choose from. You can even get started by checking out our entire inventory online, where you’ll find all the details of each model, and be ready for a test drive by the time you arrive. Financing your next vehicle has never been easier than with our expert finance team. Our goal is to ensure you’re leaving our lot completely comfortable with the numbers we come up with together. By having established relationships with banks and lenders in the surrounding areas, we’re able to make sure you’re in the best hands when looking at your loan options. We’re also happy to answer any questions along the way, and explain any terms that sound unfamiliar. To get the finance process moving even quicker, you can fill out our BMW credit application online. That way, we’ll have your information processed right away, and you’ll be in your new BMW even sooner. When you purchase a vehicle with BMW of Atlantic City, we want to help you ensure your car or SUV is always running like new. How do we do this? By having an auto service center right on site! While your vehicle is being serviced by our highly-trained auto technicians, you can take advantage of our courtesy shuttle service, or hang out in our waiting area with complimentary snacks, coffee and HDTVs. Scheduling a service appointment is easy, too, with our online scheduler. Simply fill out your information, choose a desired date and time, and we’ll contact you to confirm! Stop By BMW of Atlantic City Today! To learn more about our tried and true car-buying process, stop by our showroom at any time, or schedule an appointment online. If there’s a model you’re interested in, we’ll be happy to set you up with a test drive, too!